You might think a Direct Debit is the same as a Standing Order, but that’s a common mistake. Direct Debit gives you much greater control over your customer payment collections, and therefore your cash flow. We help you to find clarity with your revenue, offering a bespoke approach to your Direct Debit collections and a closer working relationship. Direct Debit is a non-core activity for banks, but for us it’s a specialised sector of expertise. Our objective is to help growing and established businesses get access to Direct Debit services and the Bacs system through our cutting-edge software and bank sponsorship. We make your payment collections simple and convenient by efficiently managing and facilitating Direct Debit transactions between your customers and your business. The key aspect to Direct Debit is authority. When your customer or client signs up to a Direct Debit, they are giving you the authority to go into their bank account and collect money. This could be for regular, recurring payments, or payments with varying dates and amounts, or for one-off collections. But first, your customer must give you a mandate to do so. This is now very easy. Customers can instruct a Direct Debit in a number of ways, and you can sign them up using online forms, over the phone, via their TV, using a mobile app or even traditional paper methods. In turn, you are able to conveniently manage your Direct Debits through a secure online portal, file uploads or an API. We can create profiles on our system for every customer, each with their own unique reference number, to make tracking payments easy. Then you only need to add the collection details and the Direct Debit is set up, ready to start processing the correct amounts on the agreed dates. And remember, access to the secure online portal is available 24/7, so you will never lose touch with your collections. It’s very rare that we see any problems with Direct Debits, and across our business the indemnity claim rate is less than 0.05%, but we are willing and prepared to help you to deal with them when they arise. The Direct Debit Guarantee quite rightly confers many rights to the customers when it comes to a refund for debits made in error. This is to prevent unscrupulous vendors from simply helping themselves to a customer’s bank account, but an error may equally have arisen through simple miscommunication. Any changes to Direct Debit arrangements must of course be advised to the customer in advance. Unlike most of our competitors, we will help and advise you through the claim process, and perhaps mitigate the likelihood of losing a customer altogether. It’s all part of the service. We take a personal approach to our service and a member of our team will always be at the end of the phone if you ever need advice or help with any aspect of your Direct Debit collections. Our ethos is develop a closer relationship with you, to help your business and provide more value than a simple processing house. If a system is completely automated and operating on volume, it’s very easy for the customer to drift away and cancel. By focusing on you and your needs, we are able to give you more control over the process, help you promote a healthy relationship with your client base and therefore encourage greater customer loyalty. Our services take the problems out of Direct Debit and ensure security, compliance and efficiency. We’re here to make sure you get paid on time. When you’re managing a business, cash is king. We offer a white-label solution that you can brand as you wish, meaning your business name will appear on your customers’ bank statements. Our product can be white labelled, allowing you to run payment collection services that show your company name on your customers’ bank statements. Using our paperless web-based system all you need to do is enter your customer’s details, tell us when and how much you want to collect and our technology will do the rest. We submit your payment request to Bacs and debit your customer’s account on the requested date. Through our service, you can see the outcome of every transaction. We can tell you which payments were collected, which failed and why they failed. This allows you to manage any credit control issues promptly. Our sophisticated online systems give you the capability to manage any kind of payment profile: you can request a variable amount from your customers (ideal for utilities companies) or you can call for a regular fixed amount, for example; you are collecting regular subscriptions or fixed fee service. We help your cash flow in other ways: we give you immediate visibility of when a customer cancels their Direct Debit. We transfer all the money we have collected on your behalf and invoice you our fees the following month. Entry costs to our services are low and we include bespoke system training as part of the set-up process, meaning you can relax knowing we are here to support you.  Also, all of our transactions are covered by the Bacs indemnity, meaning your customers can relax too knowing they are protected. At London & Zurich, we have worked hard to ensure our Direct Debit processing system is simple and straightforward for all our customers, whether they are setting up a new Direct Debit or managing existing accounts. Using Direct Debit collection and processing can help businesses control and improve their cash flow, ensuring their finances run smoothly. Technologies and processes change with the times. Are you benefiting from all of our services? Are there any limits on collection amounts? Not with us. Many Direct Debit payment services place a limit on the amount that can be debited to you in one transaction, but we are able to do unlimited value collections. Can we do variable payments? Yes, the beauty of the system is that if you need to adjust payment amounts then it is easy and straightforward to do so through our online portal. For example, if you had a customer recently sign up for a course, you might take a larger initial payment to cover registration, and then a series of smaller monthly payments. Or if you run a spa, monthly debit payments might vary according to what they had spent on account at the bar or on added extras. How do I sign my customers up? Firstly, you should write to them to let them know you are switching to Direct Debits. Many people will be relieved the payment process is getting easier. Then you need to get your customers to complete a mandate form - this can be online, via an app or by post - and return this to you. Don’t forget to offer to answer any queries they might have! Once you have the mandate form, you can use our system to set everything up, and you can start taking payments. What is the regularity of payments - can we do weekly or monthly? The interval between payments is entirely up to you - weekly, fortnightly, monthly, every ten days or even annually. Whatever arrangements you have made with your customers and clients can be accommodated. Never ignore the common-sense basics. Don’t share your password with anyone, and think carefully about which other people in your business need access to the virtual platform, and what information they are able to see. Make sure your anti-virus software is up to date to prevent any malicious access to your office systems by spyware or trojan horses. And be careful who is looking over your shoulder! An Application Programming Interface is the system or software you will use on screen or on your mobile device to access, edit and input information. It’s a simple piece of software designed to make it easy for you to use a more complicated system. Do you need help with your Direct Debits?